Wednesday has arrived, South Florida – and NBC 6 has the top stories you need to know. Weather wise, morning fog in several inland areas will give way to a humid afternoon with a chance of showers and highs in the mid to upper 80s. Miami-Dade is finished with their recount of ballots from the 2018 election and now they are just working on quality assurance before releasing the official numbers. In Broward, the process continues and officials are confident it will be completed in time - while in Palm Beach County, officials there don’t think they will be able to meet tomorrow’s deadline. No. 2 – Parkland school shooter charged with attacking BSO deputy in jail. Officials with the Broward Sheriff’s Office confirmed to NBC 6 that the 20-year-old Cruz attacked a detention deputy inside the facility Tuesday evening just before 6 p.m. The deputy refused medical treatment and Cruz was evaluated by medical staff but had minor injuries that didn't require medical treatment, officials said. According to an arrest report, Cruz struck the deputy in the face following a verbal disagreement before grabbing hold of the deputy's stun gun - which went off during the fight. Cruz faces three preliminary charges that include aggravated assault and battery on an officer as well as use of a chemical or electrical weapon on an officer. Getting ready to deck the halls? Before you break your budget blowing your shopping money on the perfect Christmas tree, it may pay off to wait. 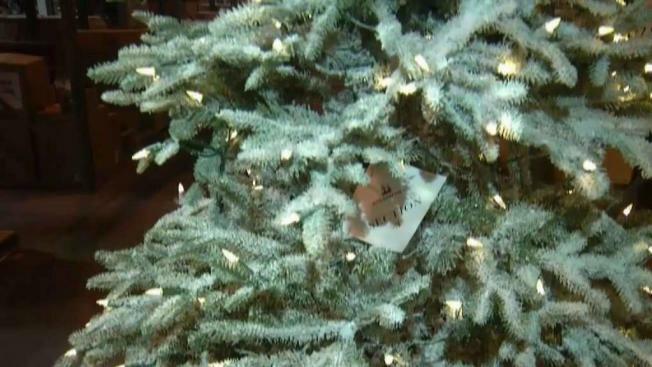 A study by Square and the National Christmas Tree Association shows Christmas Eve is the cheapest time to buy a tree, with an average price of $47. The most expensive time is Cyber Monday, when prices average $81. Black Friday isn't far behind at $77. The results are based on sales data from tree farmers and sellers. As part of a new documentary series airing this weekend, Lewinsky shares her feelings of depression after her interview with the FBI and the emotional toll the media attention surrounding the scandal took on her. Conan the Coatimundi put his money where his snout is, betting on Kyle Busch to win this weekend at Homestead Miami Speedway. You can watch all the live racing action right here on NBC 6 this Sunday starting at 2:30pm.